I think this is an elegant and artistic atmosphere of Chinese traditional characters, people generally have a noble character to write such a beautiful handwriting style. 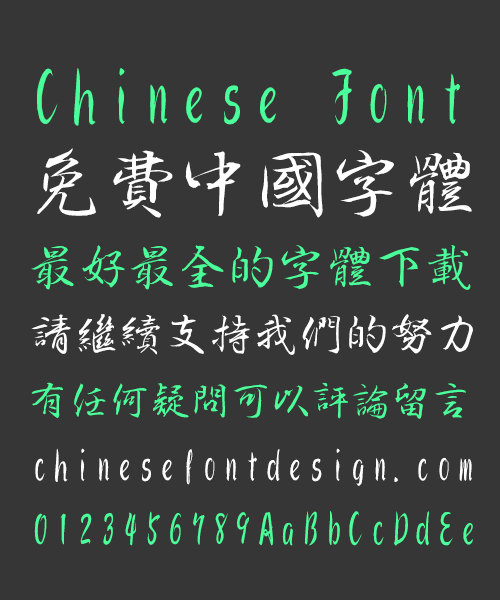 I’ve downloaded two fonts, but both of them (including this one) lack the character 黑. It just appears as a blank space or in a non-font mode.